If you do intense exercise such as cycling, running, marathon, triathlon, ultras and so on then you must read this article - carefully! It could well save your life. Before you go any further please read the New Zealand Herald article which I have reproduced below by Phil Taylor. While I do have my criticisms, as you will read later, it still is one of the best articles on the subject to date - Congratulations Phil! And please take a few minutes to listen to the TEDx Talk by cardiologist, Dr James O'Keefe which is embedded below in this article. 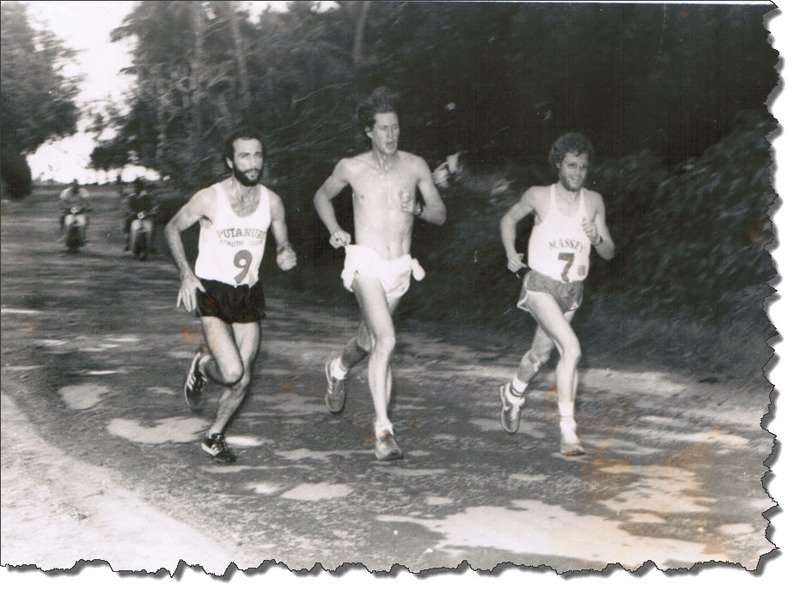 Maybe we were not born to run? The kill-joys may be right. Intense, exhausting exercise may damage the heart; but I disagree with what is done in response to it: Retirement, drugs and surgery. to go down the conventional medical path is the only one to have fully recovered and has gone on to greater performances than ever and continues to do so today. All others referred to in the article have retired with varying degrees of ill health or limitations on activity. It is a shame that Greg and the medical experts involved in these case did not inquire more into what those "alternatives" Roulston partook of that brought about such a miraculous and lasting recovery. (In case you are wondering: Yes, I have talked to Hayden about what he did to restore his health - but what he actually did is his to tell). Why are non-medical solutions consistently ignored? Is there a taboo within mainstream medicine to even suggest, let alone admit, that there are effective alternatives to the allopathic medical paradigm which is to attack a health problem by administering patent poisons or maiming with the scalpel? Is it because there are really cheap, non-patentable naturally occurring substances and procedures that can cure! Is it because non-patent natural products have the potential to undermine the multi-billion dollar industry that has built up around high tech patent medicines and expensive surgical procedures? "Why did Waddell's heart problems apparently diminish when he switched from rowing to grinding and why did they reappear when he switched back to rowing? Surely there are better alternatives to barbaric and life-threatening surgery which is, essentially, slicing and/or scraping the surface of the heart muscle to create scars! More about this later. 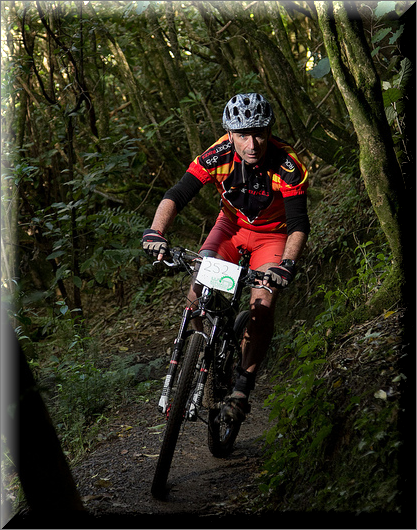 It is not unusual for extreme athletes to have heart rates as low as the 30-40 beats per minute range. In fact it is a source of pride among athletes to have the lower the better! But this is far from healthy and more an indication of chronic exhaustion, more commonly known as Adrenal Fatigue. Blown out adrenals is near universal in endurance sports such as triathlon, running, rowing and cycling. In fact, I am currently touring New Zealand and Australia, running a one day course for health professionals about adrenal and thyroid burnout in athletes. Sadly, few doctors have been in attendance. This has to change, or else the medical profession will fall further and further behind and remain dependent on drugs and surgery when treating this most treatable of conditions. 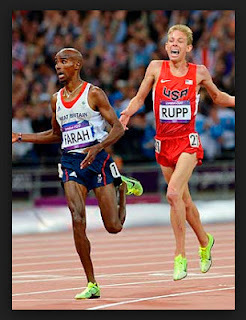 Mo Farah and Galen Rupp: "Hypothyroid"? injecting adrenalin into the heart in a desperate attempt to kick start it. Olympic athletes such as Mo Farah and Galen Rupp have been resorting to injections of adrenalin and thyroxine to power their athletic performances. Adrenalin is produced by the adrenal glands; thyroxine is produced by the thyroid. The fact is this: Strong adrenal and thyroid glands power the cardiovascular system, including the heart. One of the symptoms of adrenal fatigue is unusually low blood pressure and an unusually low resting pulse, that is often erratic. If the adrenals give up the ghost completely, the heart stops and the person dies. This is presumably the cause of death of the first person to run the marathon: Pheidippides! Bradycardia (unusually slow pulse), tachycardia (racing pulse) and heart arrhythmias (irregular/flutter pulse) are strongly associated with adrenal fatigue which, as I mentioned earlier, is near universal in endurance athletes. In fact, it is common in any group of people who experience unrelenting stress. Especially when combined with the nutrient depleted diet. 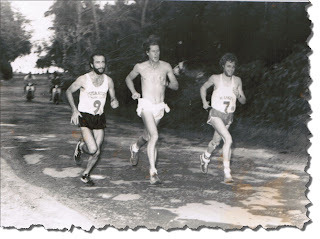 One of my last real running races was as a member of the Victoria University team contesting the NZ Veterans Cross-country Relay Championships. I was about 42 years old then. We were in the lead by the time the baton was handed to me. 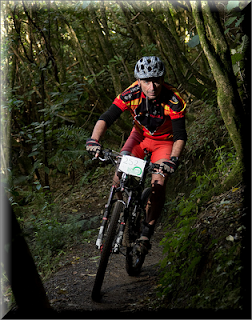 I took off, setting a winning pace; but, at about the half way mark, I suddenly slowed. My legs were dead and I felt I was going to die! I staggered to the finish, having given up the lead. I felt terrible and I had let the team down. I was heart-broken. Our team leader was most unimpressed. I did not run competitively again until well into my 50's, mainly because I could not get beyond a staggering trot. per minute and my 24 hour cortisol levels had dropped to nearly zero (cortisol is a hormone produced by the adrenal glands). I was consulting a cardiologist and my doctor wanted to place me on steroid (Prednisone) medication. I chose, instead, to begin a conservative programme of nutrition balancing and rest. Today I am a new man: I have not had an irregular pulse for years, my resting pulse is a healthy 50-60 beats per minute (not too low) and my heart red lines at about 175 beats per minute - not bad for a 60 year old, if you don't mind my saying! It took a good ten years to get to where I am at; but the journey has been well worth the effort! The evidence is clear: I have reversed what was progressing to outright heart disease that would ultimately kill me! The evidence is clear in terms of blood tests, blood pressure and heart response to exercise. Further evidence is via the stop watch: I am a full 20% faster over a two hour cycling race as compared to when I was in my 40's. This is sensational news; but it has not warranted any attention at all, other from the few people who read this blog. As with Hayden Roulston's remarkable recovery, as compared to the others, when it comes to health, mainstream media and mainstream medicine are completely blind to the obvious when it comes to the truth about what works and what does not. "Oh dear, I have heart disease: Better do what the Good Doc says; take his poisonous drugs, have the surgery and resign myself to a lesser life and a sooner death". Rob Waddell is an interesting case study. Before proceeding to comment, I warn that I am making a number of assumptions based on comments by the cardiologist during his lecture, and my assumptions about dietary variations typically seen in endurance athletes and athletes who are bulking up. The diets can be very different and it is in these differences that we may discover the key to prevention and recovery form an irregular heart beat. An athlete who is bulking up for the role of grinder on a yacht will typically be consuming much more protein and fat while, by default, the intake of vitamins and minerals is proportionally much higher in relation to calories. I understand that the Team NZ crew are generously fed with food of the highest quality. I believe this nutritional shift, combined with the adrenal and thyroid burnout associated with endurance sport, is the key to the apparent reduction in heart problems when Waddell switched from rower to grinder and why the symptoms came back when he switched back to rowing once again. I will assume he resumed rowing by adopting a restrictive diet to shed the bulk he was carrying while working as a grinder. Of course, grinding has a huge cardiovascular component but not of the same unrelenting intensity as experienced in rowing training and competition. There is clear evidence of increased risk of heart flutter or atrial fibrillation with the use of anti-inflammatory medication. Such medicines are dished out like lollies in sport, often by the coach who is supplied with endless amounts by their team's "Sports Doctor", or purchased from over-the-counter sources. In my opinion, there is no need for these drugs in sport: The potential health risks outweigh any dubious benefits. Increasingly, there is excessive use of stimulants at even recreational levels of sport. These stimulants are commonly in the form of caffeine, ephedrine, or their herbal or synthetic equivalnets. Other than chocolate, coffee and tea, these stimulant chemicals can be found in energy drinks, party pills, pre-workout supplements and weight-loss formulas (especially if you see the words "thermogenic" or "fat-burner" on the label). At least one lecturer in sports nutrition at the Otago School of Medicine is advocating the use of "No-Doze" caffeine pills for use by junior athletes, like netball players, as pre-game stimulants. This is appalling advice to come from a health professional who holds such a powerful position of influence. Get a thorough check up, get zapped with a defibrillator or whatever else is needed to ensure your immediate safety. This may include medication. It takes about three weeks to get the results back. This test will give us a really good idea of what is going on with your adrenal and thyroid glands and the balance between minerals such as magnesium, calcium, copper and iron (A blood test does not do this). We want to get this report asap so as to avoid the risk of becoming physiologically and psychologically depend on any medication (Time is a factor). Guided by the Hair Test results. Nutrition supplementation without accurate testing to guide a person is a bit like target shooting while blind-folded. Nutritional balancing is the key to restoring health, including strong cardiovascular function. It takes time but it is every bit worth the time and effort. Seldom does a programme of nutritional balancing fail to get a person into a state of health where medication is no longer necessary. What do other health professionals think about this approach to health care, including nutritional balancing? If the heart is deprived of critical nutrients - and it just needs to be one of hundreds of nutrients - such as magnesium, calcium, ubiquinol or d-ribose, to name just a few, then it will be at risk of damage. If there is an imbalance between calcium and zinc, for example (present in 80% of the athletes I test), there will be disastrous deposition of calcium in the heart and arteries (arteriosclerosis). If there is a lack of or excess of copper, cholesterol may soar, the heart may become floppy and the heart valves leaky. These can all be prevented and even reversed, if present, through a careful and patient process of nutritional balancing. I am once again back to extremely intense exercise, red-lining the heart at 170 beats per minute on a regular basis. In doing so, I am not worried about all the growing evidence that this can be extremely harmful. The reason I do not worry is because I am carefully monitoring markers of cardiovascular health (Cholesterol is not one of them): Blood pressure, resting and exercising pulse, calcium/magnesium ratios and more. My cardiovascular health is maintained by supplying the nutritional building blocks a strong heart and flexible arteries require and I am carefully replacing the nutrients that are lost during intense exercise. This is guided by repeating the Hair Tissue Mineral Analysis on an annual basis. How do you know this works Gary? Over several years of nutritional balancing my own cardiovascular work output has increased by at least 20% - All for no extra training! 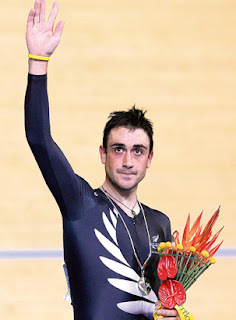 As they say: "Better than Lance!"